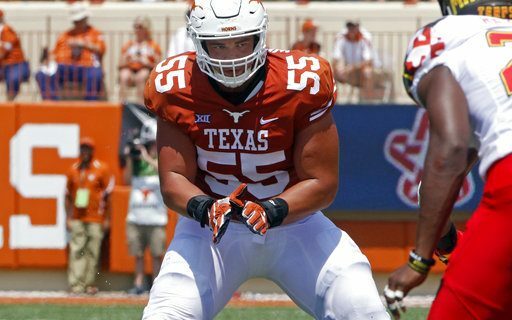 Assuming the Bills don’t use a bunch of the high draft picks to move up in the first round of this Draft, offensive line could be an area they attack early. Last week I wrote about the two Notre Dame linemen (Quenton Nelson & Mike McGlinchey). Strong Points –Good size with very good athletic ability for an offensive lineman. Three year starter. Has great balance and is seldom off his feet. Very good strength and power. Has snap in his hips on contact. Physical run blocker who gets movement. Easily gets to second level, adjusts well on the move. Quick set in pass pro, has quick hands and a strong punch. Shows excellent mirror skills and plays well versus counter moves. Can move his feet, slide and recover. Strong base and excellent anchor. Often looks to finish. Summation-Before the knee injury he may have been one of the better tackles in the Draft, now the medical will determine exactly where he gets drafted. If healthy, Williams is a premier tackle talent who can do everything well. He is young being just a third year junior but has a lot of playing experience. Williams is athletic and light on his feet and plays very well in space. He is also a very tough and competitive kid who looks to punish his opponent. Has the talent to be an eventual Blue type player. Will come in and start right away and be a solid player as a rookie. As good as he is, he still has upside to his game. Williams will be targeted in the Draft right about where the Bills are picking in the first round assuming he gets by the medical and his physical testing comes out as expected. Strong Points –Size and length. Has the frame to carry 320+. Good overall athletic ability. Plays with good flexibility, can move his feet and play with bend. Flashes being a top run and pass blocker. Can get into space and make a productive block. For the most part does a good job keeping his hands inside. The Way We See It –Kolton is a fourth year junior. Redshirted in 2014, played as a backup in 2015 and became a starter at right tackle in 2016. Started five games in 2016 before injury ended his season. Moved to left tackle in 2017 and started every game. Flashes top talent but some inconsistency with his overall play. Needs to get stronger in order to hold up versus NFL defensive linemen. Can play on the left side but the club that drafts him may want to start him off on the right side to get him confidence. Needs to improve overall technique but many natural traits are there for him to succeed at the next level. Miller is a player who should come off the board somewhere between the 20th pick of the second round and the top 10 of the third round.